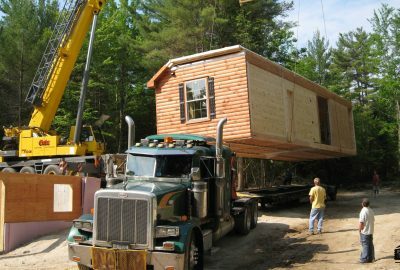 After a few short weeks, the time has come for your modular home to be delivered. Now you see all of your efforts pay off big time in the form of your new log home kit, that will give you years of relaxation and enjoyment. 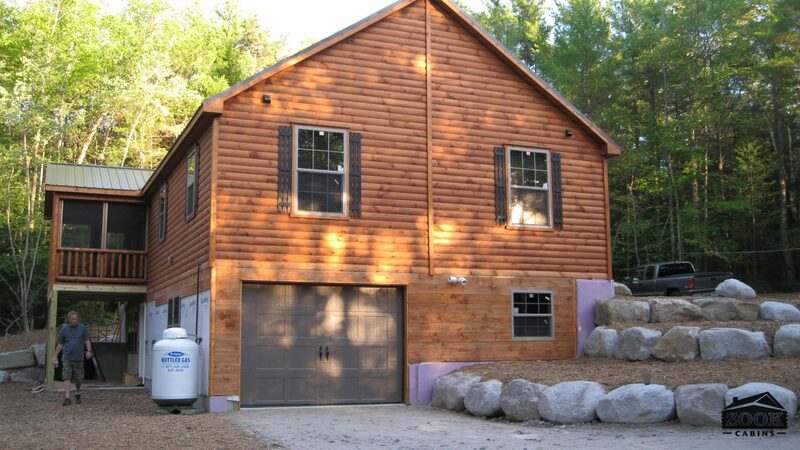 Our cabin package pricing includes our log cabins delivered and installed in your location. Each log home and log home kit delivery is different so it is important for you to communicate with us so we can help. 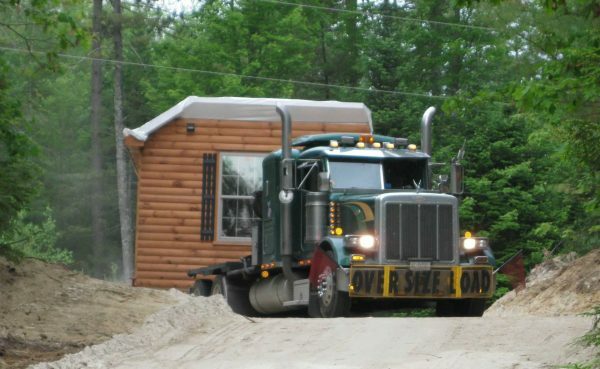 With each delivery you need to take into consideration access to the site and the cabin being delivered. 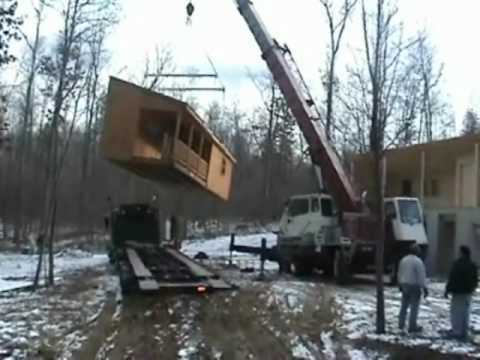 Your modular home is delivered fully assembled on a trailer that is very similar to a roll back tow truck. We need to make sure, prior to arrival, that we will be able to access the site. Because of that, we have some recommendations that can help be a guideline for delivery. Our drivers are very good at navigating in tight spaces. We ask that if you have any questions at all you give us a call to discuss delivery. Often times we’ll go the extra mile and ask that you to send us some pictures of the site. This allows us to get a feel for what we are getting into and ask any questions that we need to prior to arrival. We want to make sure that we do everything we can to make everything go as smoothly as possible for you right down to the last detail. The exact modular home kit that you order can change the details of the delivery. For example, if you order a 12′ X 30′ Settler, we can send that out on a smaller truck, and driver will be able to maneuver more easily. 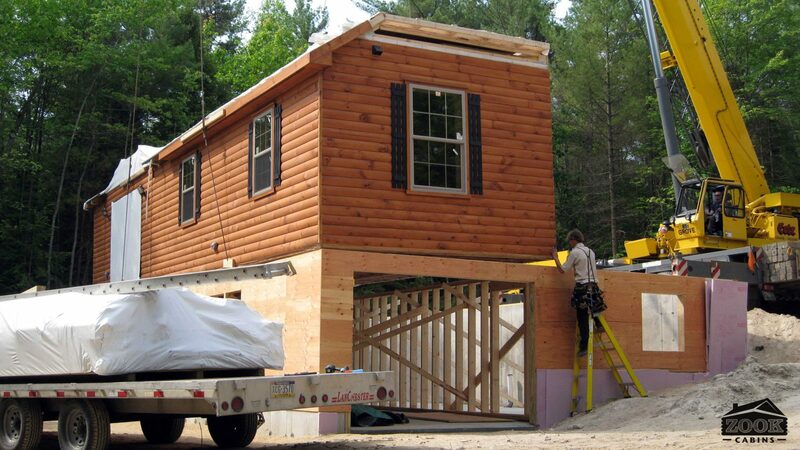 If your cabin is a larger double wide longer than 30′, we will need a crane onsite to set the building in place. 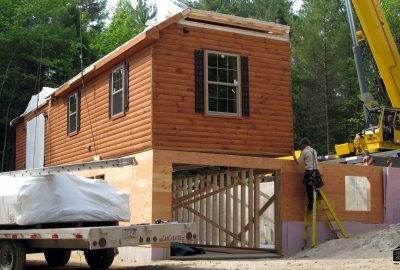 The reason for that is a finished double wide has too much weight on the outside walls, causing it to be unstable when moving it around off the trailer. 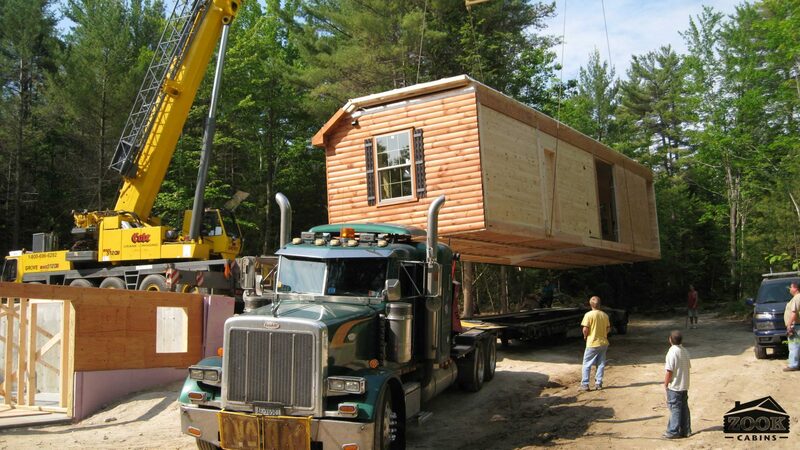 The crane enables us to provide a log cabin delivered and installed with exact precision, eliminating safety risks and damage to your building. 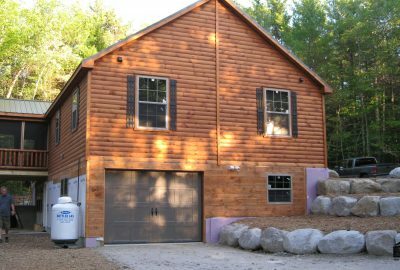 Once your cabin is in place, our guys will take care of any necessary finishing work like tying together the double wides or finishing the roof kit on an Adirondack or Cape Cod. Then, you’re ready to enjoy! If you have any questions at all about the delivery process or your delivery specifically, give us a call at (610) 593-4556 and we will walk through everything with you. We’re here to help and answer any questions you might have.